A man caught placing his iPhone under the skirt of a Publix shopper told police that he was actually “taking pictures of cakes” for his wife, and not engaging in some felonious supermarket voyeurism. When a sheriff’s deputy questioned Atalla, he “claimed to be taking pictures of cakes for his wife.” Atalla lives about half a mile from the Publix supermarket where he was busted. The report does not detail why Atalla’s purported spouse needed a gallery of cake images, though Deputy Chester Johnson did point out that Atalla’s iPhone handiwork "occurred in the deli by the hot chicken, not the bakery." Atalla, seen above, was charged with video voyeurism, a felony, and booked into the county jail. He was released from custody Friday night after posting $5000 bond. 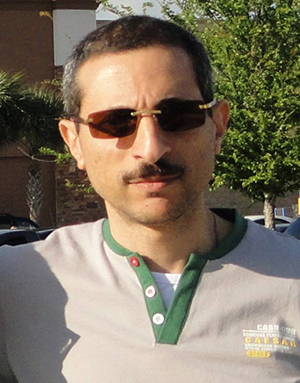 Acccording to his Facebook page, Atalla works for a Clearwater software firm. The page includes no photos or mentions of a wife.